When making out your check for a trip, please reference your pick up point and who you will be traveling with. Seating depends on when the checks come in, so please have your friends send checks at the same time. Please make sure that you bring a sweater or extra layers for the bus – we can’t always please everyone with it being too cold or not cold enough – dressing in layers will help you feel more comfortable. Please be at your point of departure 10 minutes before. There is a schedule for our reservations and the bus cannot wait. Due to some of our trips selling out so quickly - If you call to hold a reservation – please send in your check within one week or we will be forced to take your name off to make it fair for the ones that mail in their payments. We also don’t know how fast a trip will sell so please don’t wait until the discount deadline to order – if you like it, order it – you can cancel up to 30 days prior for day-trips for a full refund. If there is a wait list and someone purchases your reservation at any time before the trip – we will gladly refund your money. No refunds for any reason for any cancellations on day-trips 30 days or less. No refunds on cancellations of 3-6 multiday Bus trips 60 days or less. And vacation packages with airfare, No cancellations 90 days or less. Credit Card orders: Call 1-516-223-6203 to place order &/or ask for information regarding cancellation policy. See below. POLICY ON CREDIT CARD REFUNDS - PLEASE READ CAREFULLY! Credit Card Companies charge Personal Touch Tours Ltd. a process fee when customers use their charge card to order a trip. They also charge PTTL a fee when a traveler cancels a trip and wants a return credit on their charge card. *Because of these credit card company fees, Personal Touch Tours will have no choice but to deduct 12% from your total charge. We are sorry for this necessary change. HOWEVER: If you decide to cancel within the cancellation period; you can receive a FULL Refund Credit towards another similar type trip. Personal Touch Tours, Ltd. reserves the right to alter an itinerary due to unforeseen events - such as road conditions, weather conditions, cancellation of shows or attractions where we have no control. Personal Touch Tours, Ltd. is not responsible for any typographical errors. Personal Touch Tours, Ltd. hereby gives notice that it does not own or operate any airlines, airplanes, motor carriers, motor coaches, buses, hotel, resorts, banquet or catering facilities, restaurants, attractions or related services & that all arrangements involving such services are made by Personal Touch Tour, Ltd. as agents. Personal Touch Tours, Ltd. is not liable for any death, accident, injury, loss, theft, irregularity or other damages which may occur by reason of any act or omission by either any provider of such services or any travel wholesaler or agent with which Personal Touch Tours, Ltd. contracts for the provision of such services. 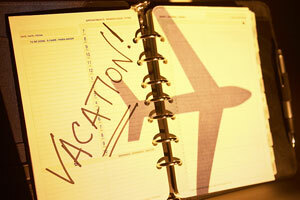 Call the office for information regarding cancellation policy on vacation packages. ​NOT RESPONSIBLE FOR TYPOGRAPHICAL ERRORS!